In TEKLYNX CENTRAL, the user cannot see the desired printer when using the browser interface. When using the TEKLYNX CENTRAL browser interface, a printer does not appear on the list. 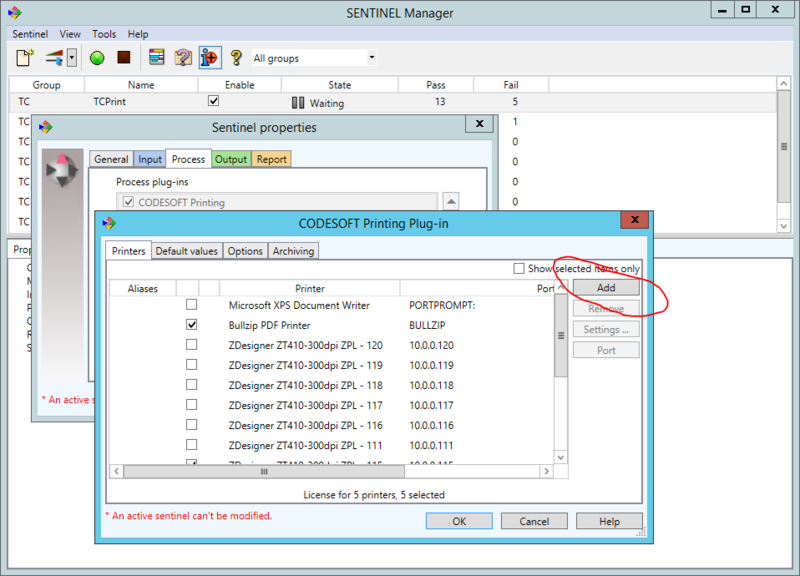 Add printer via SENTINEL or CODESOFT. Allocate printer license to the printer in SENTINEL.